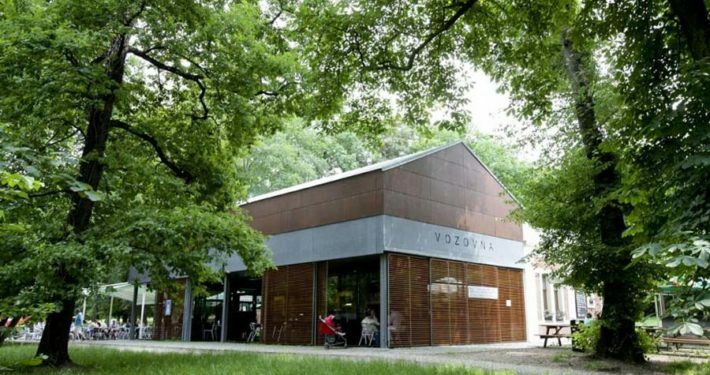 A cruise restaurant in the middle of Stromovka Park serving up fresh food directly from the hearth. There is a garden and playground. 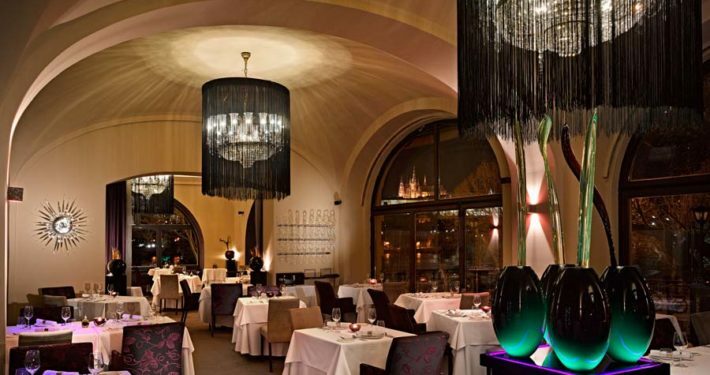 The French restaurant is a high-end restaurant in Prague Art Nouveau style, highly praised by experts for its superior quality cuisine and unique atmosphere enhanced by live jazz and / or piano music. 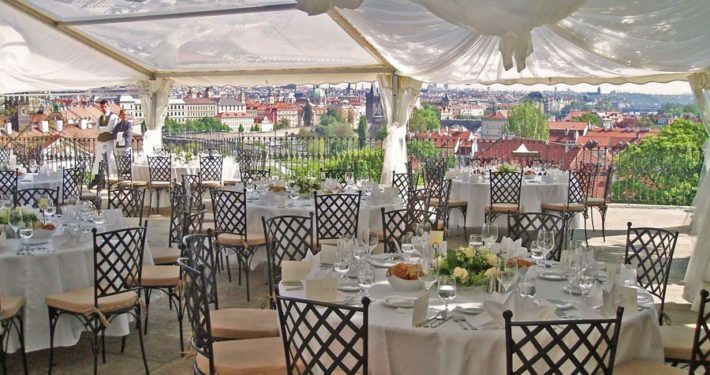 Unique location – forming part of Prague Castle – dedicated to delivering unforgettable culinary experiences. 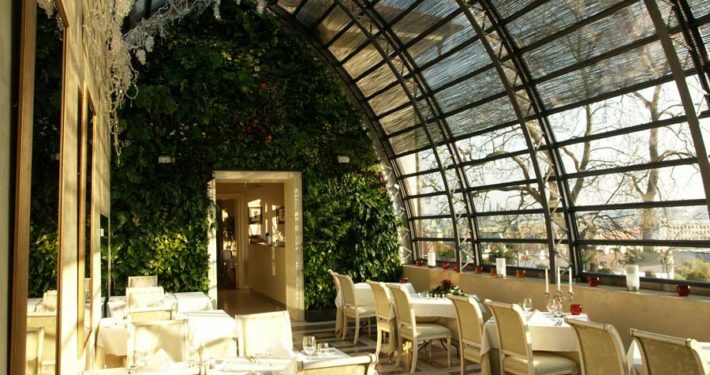 It comprises a complex of three stylish restaurants wedged between one of the oldest vineyards in the country. 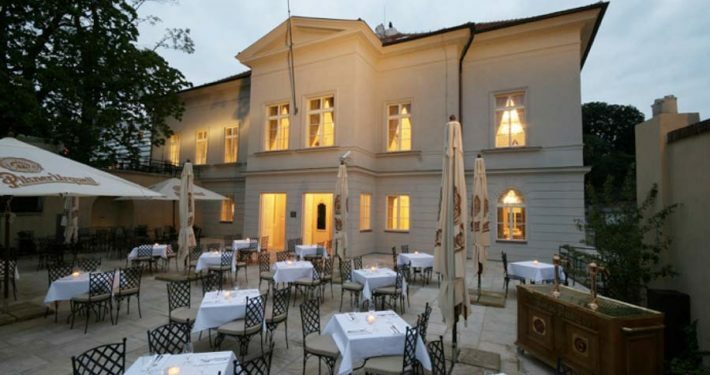 The unique location provides amazing views to the Old Town, Lesser Town and Queen Anna’s villa. 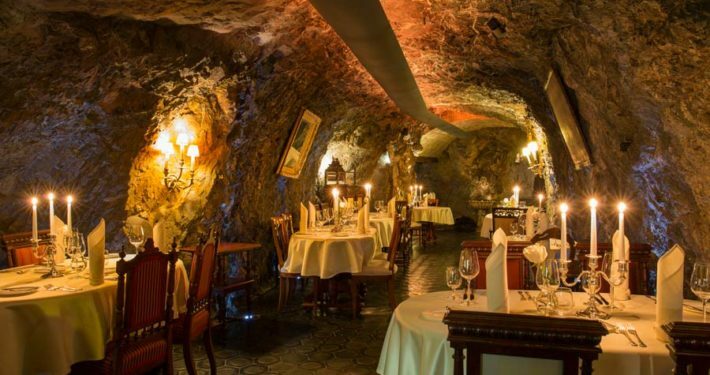 The “Saint Clara” restaurant was originally a wine cellar in one of Prague’s vineyards close to the Baroque style, Troja Castle. 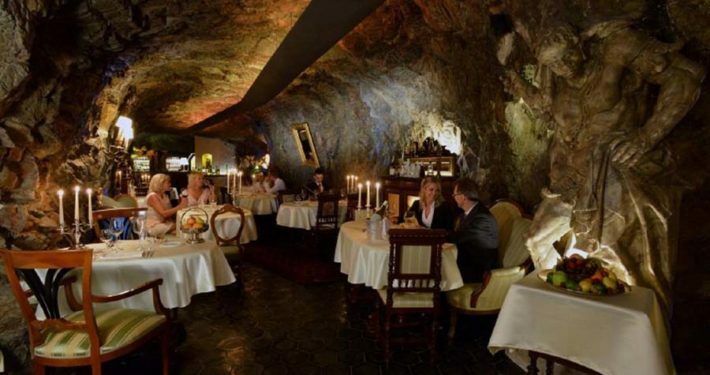 According to records, the cellar was created from caves and tunnels positioned 16 meters below the surface. 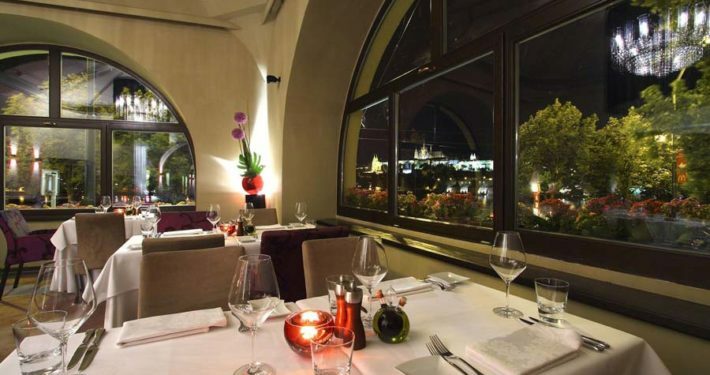 After undergoing careful restoration work which respected its historical origins and traditions, the area was successfully transformed into a unique restaurant featuring antique furniture, Baroque sculptures, contemporary paintings, complete with Persian rugs. 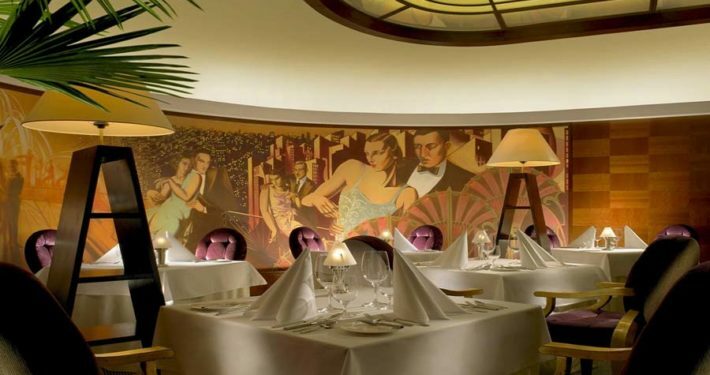 The intimate candle-lit interior featuring dancing couples in New York, inspired by Tamara de Lempicka and a fireplace dating back to the 1930s offers a cosy setting which seats just 24 people. 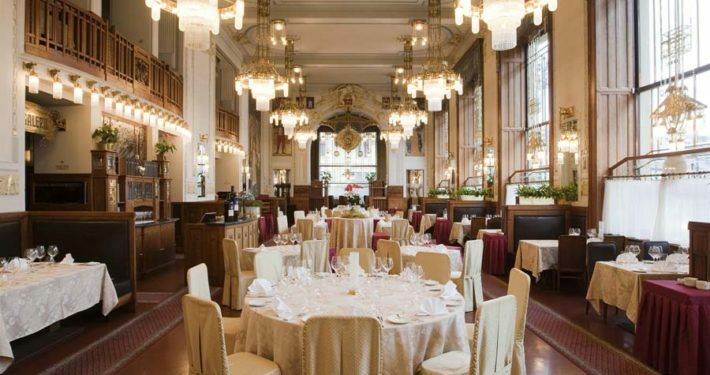 Alcron is regularly ranked in the top 10 best restaurants compiled by the Czech gourmet guide, Maurer’s Grand Restaurant, while in 2009 emerged at the top of this ranking. 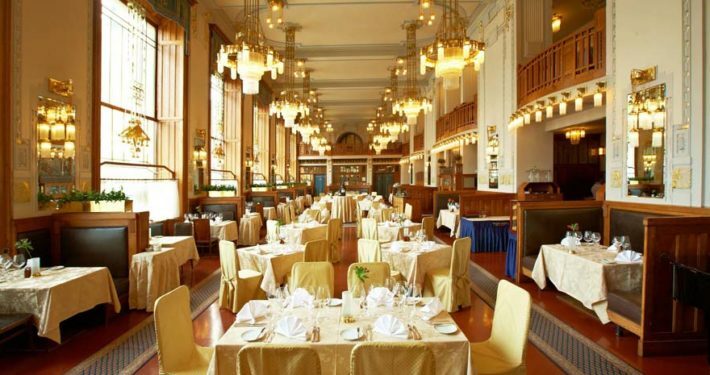 It is also included in the prestigious Michelin Guide and in the German Der Feinschmecker. 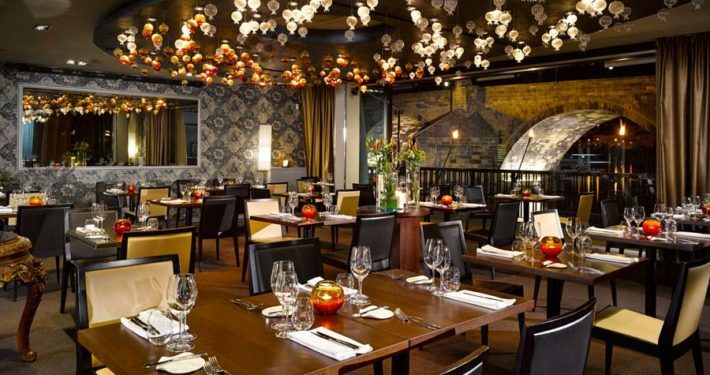 The Bellevue Restaurant offers exceptional cuisine right in the heart of the city. 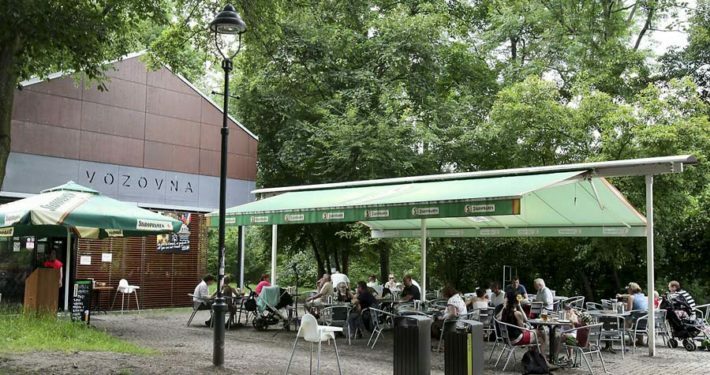 It merges original European / Czech design and local traditions with the most progressive of European trends. 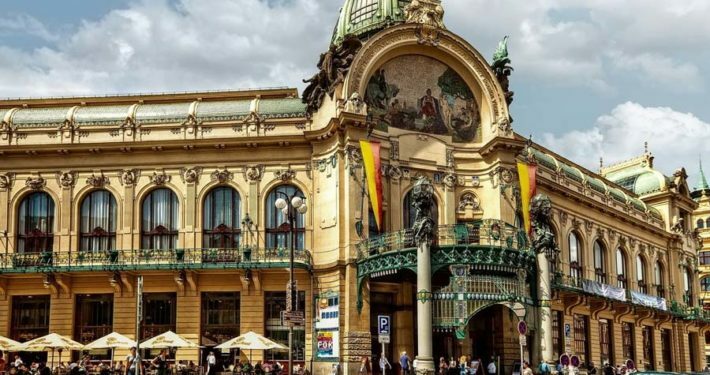 A special place in nestled between the National Theatre, Žofín, Charles Bridge, the Rudolfinum, Old Town Square and Prague Castle. 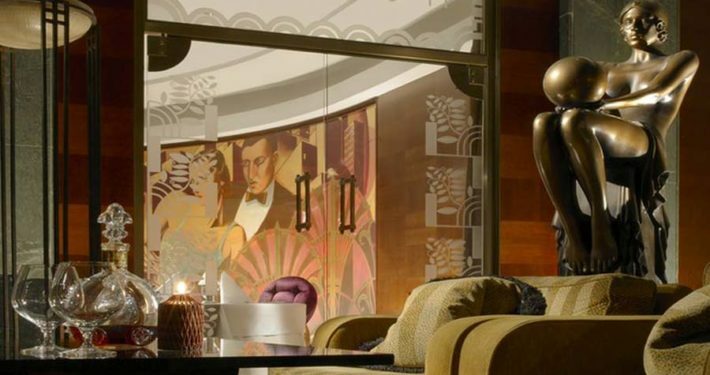 The elegant interior plays on the walls with the light and shadow of original glass elements by Rony Plesl. 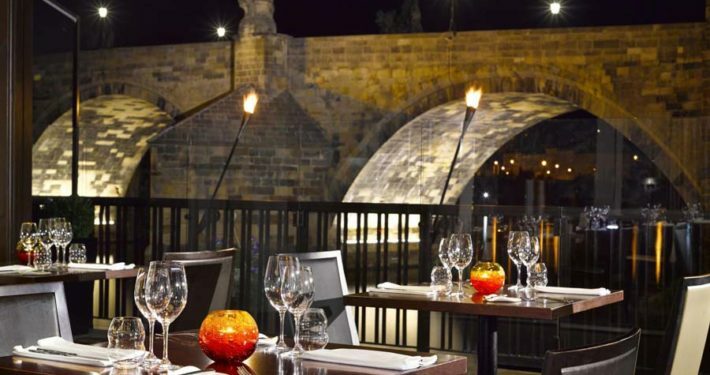 A restaurant located on the river bank offering a breathtaking view to Charles Bridge, a great dining experience and attractive interior design.